The Park succeeds in being an unsettling jaunt into madness, but could have been much better if its developers had done more with their premise. As it stands, though, this is a title worth playing, so long as you're okay with a short runtime and little replay value. Rollercoasters and houses of horror may be the scariest parts of open amusement parks, but once the lights turn off and things go silent, they simply become part of a creepy ensemble. 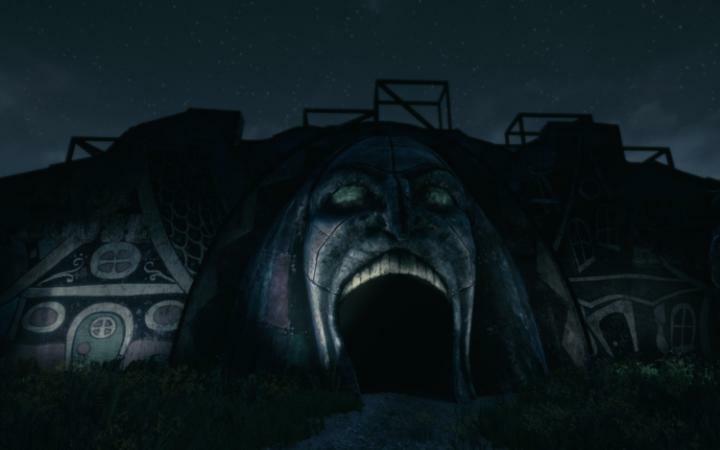 This is amplified to the extreme in the case of abandoned and decrepit amusement parks, both of which bear similarities to the Atlantic Island Park that acts as the setting of Funcom’s 2015 horror title, The Park. Rusted, squeaking and full of age, the struggling Atlantic Island Park happens to be a favourite vacation spot for a single mother named Lorraine and her young son, Callum. And, given the chance, they’ve returned to the rather empty amusement centre for another day of fun. It’s after this excursion that we’re introduced to them, as they discover that Callum’s favourite teddy bear was left inside. As Lorraine returns to the information booth to ask an attendant for help locating the fuzzy creature, her son takes off running and worms his way back into the amusement park. Gone in a split second, it’s as if he simply teleports through the locked gates and turnstiles, which are promptly reopened so that his mom can go back in to retrieve him. Things seem fine at the beginning of The Park. The sun is shining, the weather is great and the two tourists seem tuckered out from a day of fun in the sun. That quickly changes, though, once Lorraine goes through the gates and once again ascends an escalator in need of repair. The sun – which was once so prominent in the late afternoon or early evening sky – disappears and moonlight takes over almost instantly along with a creepy sense of dread. 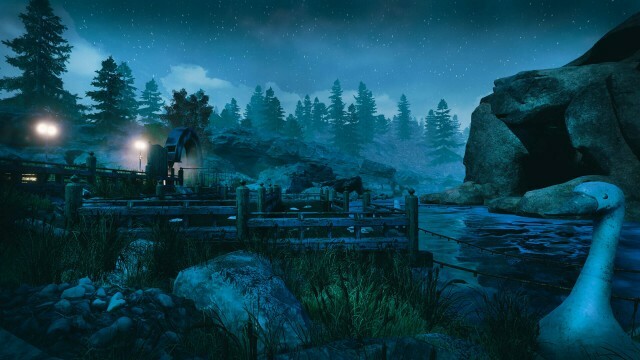 In just a matter of seconds, a rickety but somewhat idyllic location transforms into the setting of a horror movie, leading to the crux of The Park‘s gameplay. That is, walking through a creepy amusement park in the dead of the night, while dreading everything that goes bump in the night. All in the name of finding a worried mother’s lost son. As a horrific setting, the Atlantic Island Park works well. It’s not exaggerated to the point of becoming a caricature, and is rather believable as a result. Furthermore, it’s not a wholly original location, having been cherrypicked from another Funcom title: its MMORPG, The Secret World. You see, The Park began life as an experiment, when its developers decided to test their mettle at taking settings from their massively multiplayer game and turning them into single player offerings. This one worked, and it stuck. Unsurprisingly, something sinister lays waiting within Atlantic Island and its short, amusement-based history. There are also questions about our protagonist, herself, though I won’t say anything more about either one. When all is said and done, the true downside to this scary excursion is that it’s over so quickly. From start to finish, The Park is merely a one to two hour-long game, and it doesn’t have much in the way of replay value. This is, after all, a walking simulator at heart, with an unsettling atmosphere and a few half-decent jump scares sprinkled in. Another thing that keeps this decent game from fully realizing its potential is that there’s not very much to do. You walk around, read newspaper clippings that tell disturbing tales, learn more about our protagonist and call out for Callum. When you’re not doing this, you’re partaking in the available rides, ranging from bumper cars and a rollercoaster to a Hansel and Gretel-themed swan ride. Disbelief must be allowed to set in at these times, given that the park is deserted, meaning that there are no operators to run the rides Lorraine takes. Of course, one must also wonder why a worried mother would take the time to go on rides while searching for her son. If it weren’t for these rides, though, The Park would be a very short game with a bunch of walking and little in the way of variety. They serve a purpose, too, acting as a way to progress the story. That’s because Lorraine – despite worrying about her son – takes the time to talk about her life, worries and history as she ascends to the top of the ferris wheel and drives over the peaks and valleys of a large rollercoaster. The Park‘s storyline comes to an ambiguous end, though, and it’s left up to the player to fill in the pieces based on what they’ve experienced. The problem with this is that, for those who prefer concrete conclusions, there’s little of that here. The game also blends two potentially different storylines together throughout its short runtime – that of Lorraine and the amusement park, itself – and neither one concludes concretely. This was surely intentional, but it hurts the experience in some ways. Presentation-wise, Funcom’s horrific walking simulator – which is new to Xbox One and PlayStation 4 – looks pretty good and runs well on Microsoft’s console. Its graphics are a bit dated, and won’t compete with the best of the best, but the Atlantic Island amusement park is far from an ugly setting. Yes, some of its buildings and huts could’ve used more detail, and the in-game character models that populate it during this experience aren’t spectacular, but there’s some nice atmosphere to be found and the developers did a good job with the sky and its natural lighting. There are also some nice fog effects to be seen, and some ominous-looking art design to take in. Thankfully, the audio is up to snuff. Babies cry, voices ring out in the night and other creepy sounds dot the landscape as Lorraine walks by. Certain set pieces also up the ante, both visually and audibly, and the soundtrack is fit for the task. This game is also almost fully voiced, and not in a cheesy or bad way. 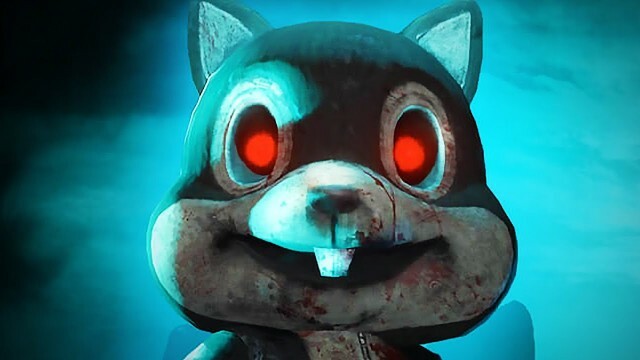 In conclusion, The Park is an enjoyable, unsettling and interesting game that does a good job of mixing elements of walking simulators with those of the horror genre. It won’t win any awards, and doesn’t go as far as it could’ve (or should’ve) with certain facets and mechanics, but it’s a good way to spend an hour or two. That is, if you’re not afraid of the dark.